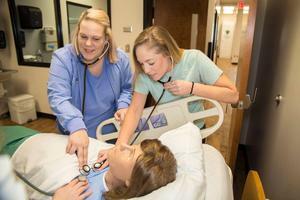 Practical Nurse Education Program Application Extension! The Application Deadline has been extended for the 2019-2020 Practical Nurse program. The new deadline is May 2, 2019. All admission criteria must be complete by May 2, 2019 with the exception of listing on the Nurse Aide I Registry. Accepted applicants must be listed on the Nurse Aide I Registry by July 31, 2019. For further information please contact Belinda Foster, Pre-Nursing Advisor at 828-652-0611 or email her at bfoster@mcdowelltech.edu.